Over the last decades, many schemes have been created to describe medical knowledge, to identify and relate drugs and disorders, procedures and lab tests. Such knowledge forms the core of every Medical Record System but the redundancy across schemes and a wide variety of release schedules and formats has hampered the exchange and usefulness of medical records. 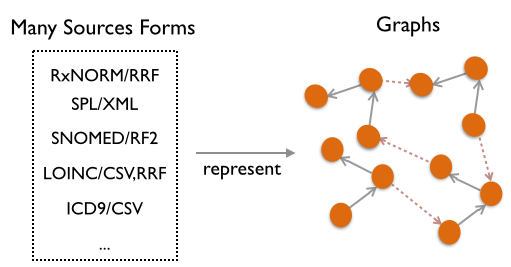 What is needed is an open source Simple Knowledge Service that regularly integrates schemes from different publishers into one consistent form. There are many well-maintained, openly available drug schemes. In fact, there are too many, with different authorities publishing overlapping sets of facts on different schedules. It is no surprise that there is no definitive list of the drugs currently marketed in the United States. 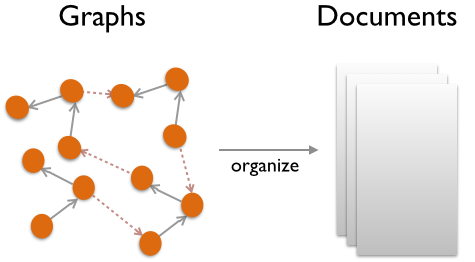 Enter drugdocs where we reduce graphs of drug data organized in a simple knowledge service to produce authorative documents describing currently marketed drugs. Together the Department of Defense's CHCS and VistA from the Veterans Administration represent the most widely deployed medical record system on the planet. Both are built around a venerable NoSQL data store called FileMan. Though efficient and flexible, FileMan has no remote query language or formal schema definition mechanism - there is no SQL for FileMan. As a result, data is defined and moved around with a wide variety of inconsistent methods. 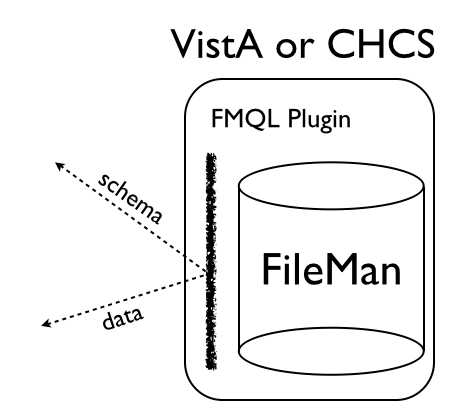 Open source FMQL, the FileMan Query Language, changes this. Patient data, Institution data, Knowledge schemes, System records - to FMQL, this is all just data to extract. By delivering one uniform mechanism for extracting all data and meta-data, FMQL makes FileMan data access easy and let's you focus on analyzing and presenting data.